The FleetMon Agricultural Commodities Trading Database provides detailed shipments records of international agricultural goods in bulk by ships. Every record provides details about the goods transported, their origin and quantity. Goods covered include cereals, fibers, liquids and soft foods from over 100 countries and regions all around the globe. Looking for all shipments of wheat from Argentina in the last months? Our powerful filters give you the results in seconds! Compare the information reported for current positions and ETAs of any vessel in the database. Detailed ship particulars are just a click away. The ship's voyage log and port call history complement the freight details to provide you with a comprehensive picture of actual trading patterns. 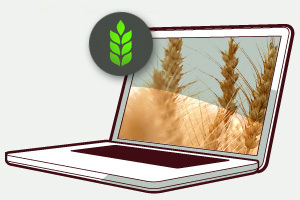 Start your free trial to the FleetMon Agricultural Commodities Database - You can try it free of charge for one week. The data displayed here for illustration purposes is partially obscured, but a trial or subscription will provide full access to our ongoing archive. Note this service is NOT included in the regular FleetMon Unlimited plans, but requires a separate agreement. The data on this service is updated on a weekly basis. Delivered cargoes will eventually drop from the map, but remain in the archive. Data can be exported to spreadsheet software like Excel for further analysis. Africa Argentina Australia Austria Bahamas Bangladesh Belgium Belize Benin Brazil Bulgaria Cameroon Canada Chile China Colombia Congo Costa Rica Croatia Cuba Cyprus Denmark Ecuador Egypt El Salvador Estonia Europe Faroes Fiji Finland France Gambia Georgia Germany Ghana Gibraltar Greece Guatemala Guinea Bissau Hungary India Indonesia Iran Ireland Israel Italy Ivory Coast Jamaica Jordan Kazakhstan Korea South Kuwait Latvia Liberia Libya Lithuania Madagascar Malaysia Maldives Malta Mauritania Mauritius Mexico Moldova Morocco Mozambique Myanmar Netherlands Nicaragua Nigeria Norway Oman Pakistan Panama Papua New Guinea Paraguay Peru Philippines Poland Portugal Reunion Romania Russia Saudi Arabia Senegal Serbia Singapore Slovakia Slovenia Solomon Islands Somalia South Africa Spain Sri Lanka St Helena Island Sudan Sweden Taiwan Tanzania Thailand Togo Tunisia Turkey Turkmenistan Ukraine United Arab Emerates United Arab Emirates United Kingdom United States Uruguay Venezuela Vietnam Zimbabwe …. Last update: Nov. 16, 2017, 2:20 p.m..
Voyage status is estimated from load/discharge laycans. Ship positions shown as received from near-shore receiver stations only. No position updates when in remote areas and deep sea. Choose a Satellite AIS plan for best coverage and data quality. Please note: Only current transports (pre-voyage, under way or recently delivered) are displayed on the map. Completed transports are available in the archive. Access to the FleetMon Agricultural Commodities Trading Database is available to all FleetMon users on the basis of a service subscription. Note that this service is NOT included in the regular Unlimited plans, but requires a separate agreement. Data availability can be assessed freely with the present tools (all records are shown but some fields made unreadable). Data is updated weekly. Note: FleetMon.com is striving for best results in the sourcing and presentation of the above agricultural commodities trading data, but it does not make any representation of the continued availability, accuracy, correctness, completeness and quality of the latter, or their fitness for any particular purpose, whether express or implied. Referenced countries and commodities in the above list does not imply completeness of coverage.